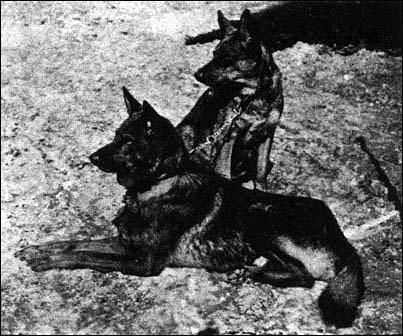 First registered German Shepherd Dog in Germany. Bought and registered by Captain von Stephanitz. 1900 & 01 Sgr. VA Hektor v. Schwaben. 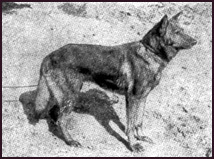 inbred to and this inbreeding, coupled with rigid selection under the watchful eye of the increasingly all-powerful SV, helped to stabilize type fairly rapidly while soon after the turn of the century the registration of dogs of unknown pedigree was forbidden."